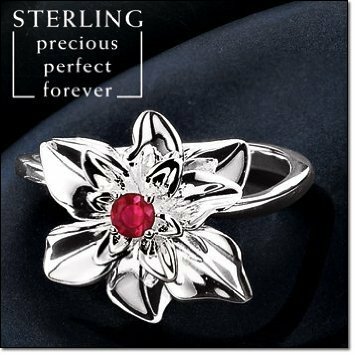 Ring with red poinsettia, barberry and snowberry. MEASUREMENTS: composition is approx. 1.69 х 1.01 inches, adjustable ring base. READY TO SHIP. Stretch style - one size fits most - a cute gift for family, friends, co-workers, stocking stuffers Dancing with the colors of the season: red, gold and green. 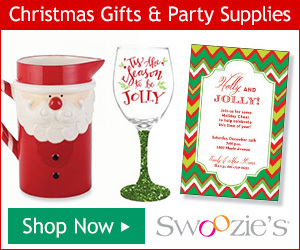 Great for family, friends, co-workers, grab bag gifts. 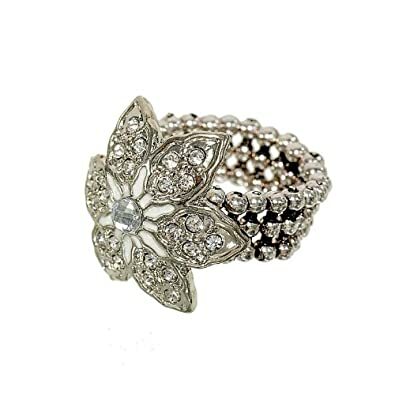 Our fashionable holiday ring is a must have! 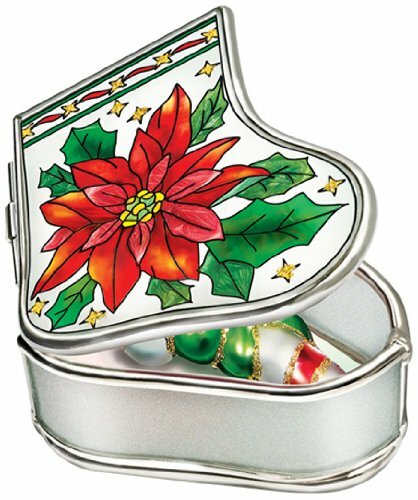 This poinsettia ring is part of this year's Christmas collection and has a regular shank. 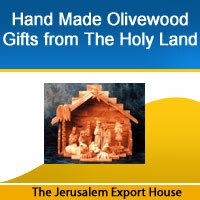 It is an understated size measuring about 7/8 inch by 3/4 inch overall. 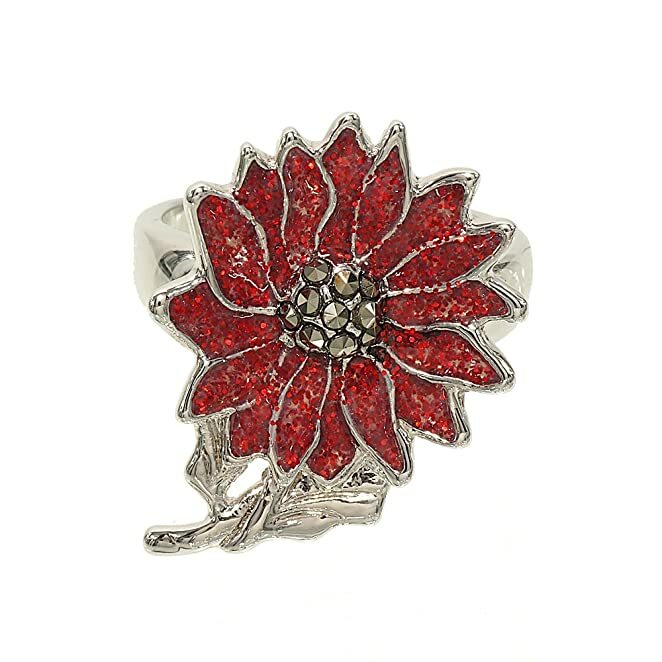 The center of genuine marcasite is surrounded by petals colored in red epoxy with embedded glitter. 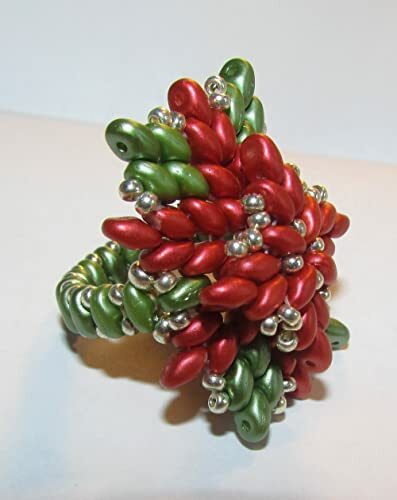 Although the ring is a traditional Christmas motif, it could easily be worn throughout the winter season. In rhodium plated brass it is available in size 7 and 8 only. 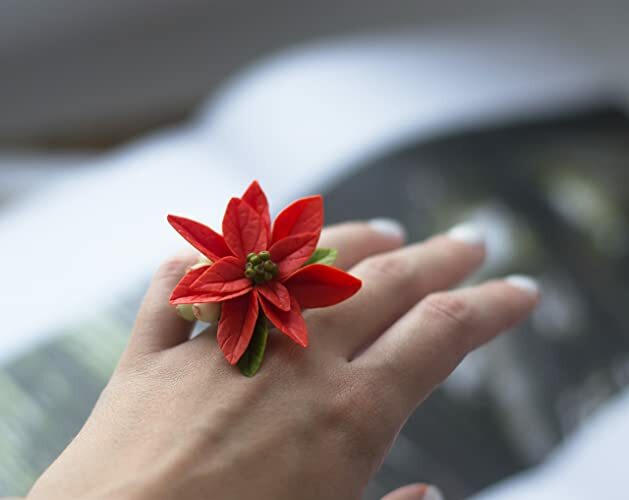 A great ring to wear all winter long or at Christmas as a subtle reminder of the season. Top is covered with many clear crystal stones and a touch of white epoxy. About one inch from point to point and slightly curved to hug your finger. In rhodium plated base metal and clear crystal it has just the right amount of bling. The beaded stretch band will fit most anyone from size 6 to 10. 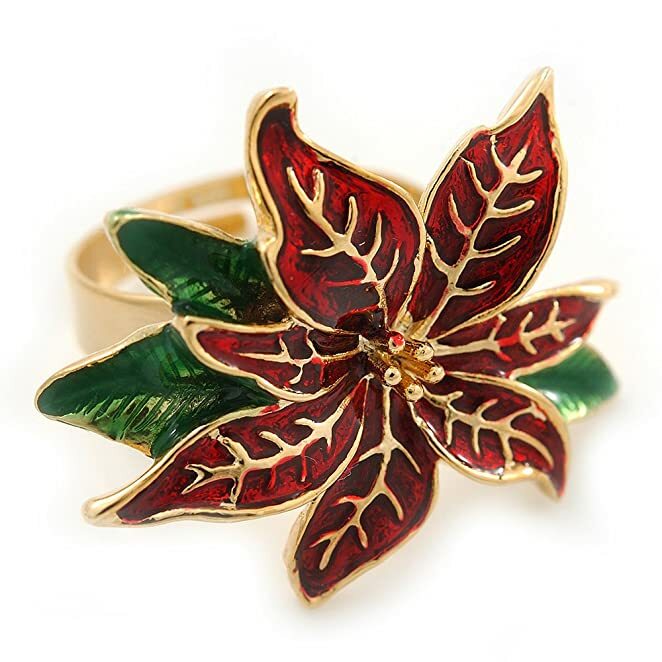 Get into the festive spirit in style with this fun and sparkling Christmas Dark Red/ Green Enamel Poinsettia Holiday Ring In Gold Plating. 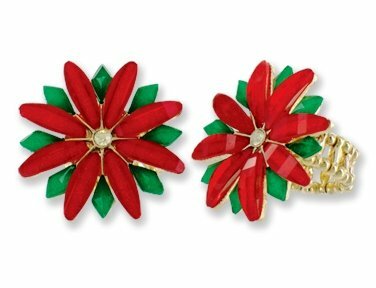 Featuring a Christmas Poinsettia flower design, crafted in gold plated metal and decorated with dark red and green enamel detailing for a fabulous look. The front of the ring measures about 30mm x 25mm, tapers down to 4mm at the shank. 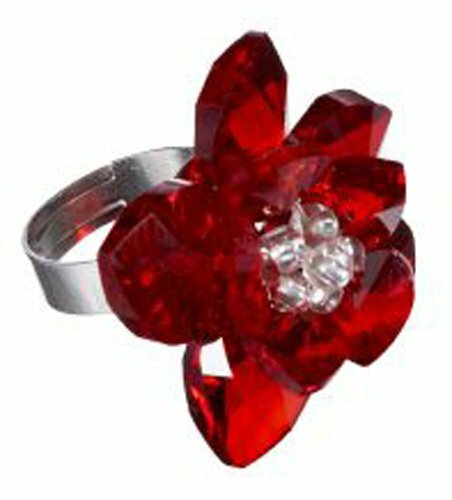 Stylish and bold, this X-mas ring will make you stand out of the crowd. 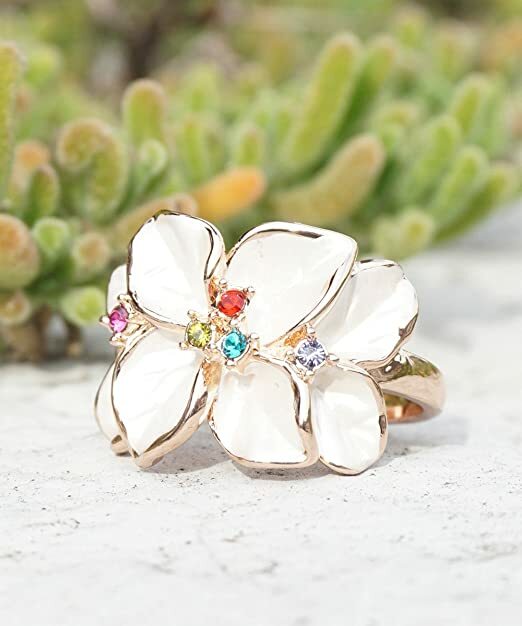 Feel extra festive in this pretty white Magnolia flower and leaves in white enamel set in a rose gold filled ring encrusted with beautiful colorful crystals! 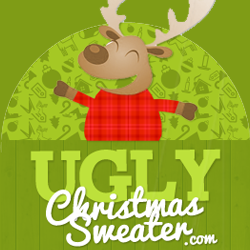 It's perfect for any ensemble, year 'round.